Every shower should start with a little indulgence and this rich daily cleanser is the ideal addition – for both hair and bathroom shelf. Custom-blended from exclusive ingredients (including coconut-derived cleanser and amber extract) this luxurious formula gently cleanses scalp and strands while repairing and protecting locks from damage. The ultimate in luxe, cult hair care, Oribe has gained a permanent place in the hearts of the beauty world’s ‘best tressed’ – try this and you’ll soon see why. 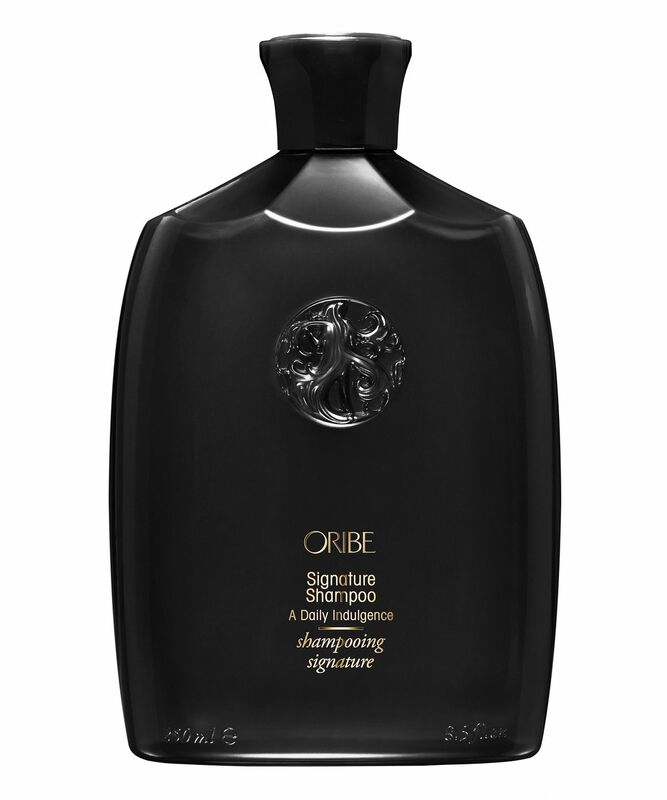 Add a little indulgence to your hair care with Oribe’s Signature Shampoo, a rich daily cleanser that offers results certain to go straight to your head. Custom-blended from the most exclusive ingredients available, this luscious formula gently cleanses, detangles and protects hair, leaving it silky without adding weight. Coconut, corn and oat-derived cleansers gently cleanse without stripping, while vegetable-derived humectants impart the optimal level of shine without weighing strands down. Kaempferia galanga root extract, found in Southeast Asia, delivers natural UV protection, while amber extract delivers conditioning antioxidant protection and keratin and hydrolysed keratin strengthen damaged hair and protect the surface of the hair shaft. Alongside this, Oribe’s signature complex (including watermelon, lychee and edelweiss flower extracts) defends hair from oxidative stress, ageing and the deterioration of natural keratin. What’s more, the opulent midnight black bottle is certain to add a touch of luxe to your bathroom shelf. Oribe says: Lather, indulge, rinse.